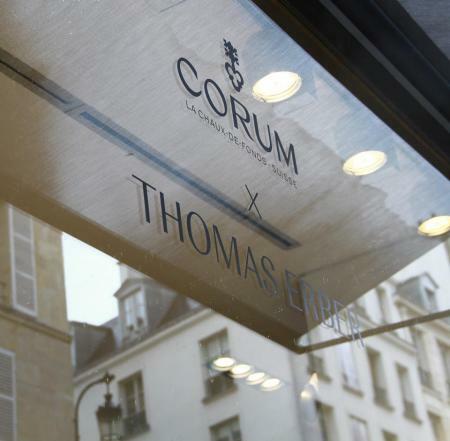 Corum joins the famous Parisian concept store Colette and the internationally renowned artist Thomas Erber in an exclusive partnership. During one week, the watch brand takes up residence at 213 rue Saint-Honoré, with a showcase executed by the studio “Diplomates”. In collaborating with Thomas Erber for this unique project, this limited edition timepiece is showcased in a fairytale-like chalet in an abstract form. 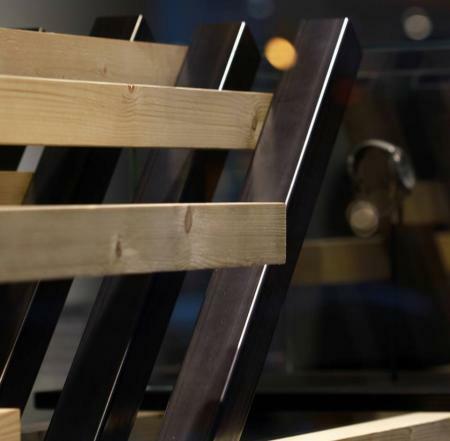 Using a completely organic approach, the structure draws its inspiration from the “Style Sapin”; a decorative art form from the La Chaux-de-Fonds of the early twentieth century, and is made of a natural larch wood and steel structure constructed with the legendary codes of the Corum Admiral’s Cup collection. 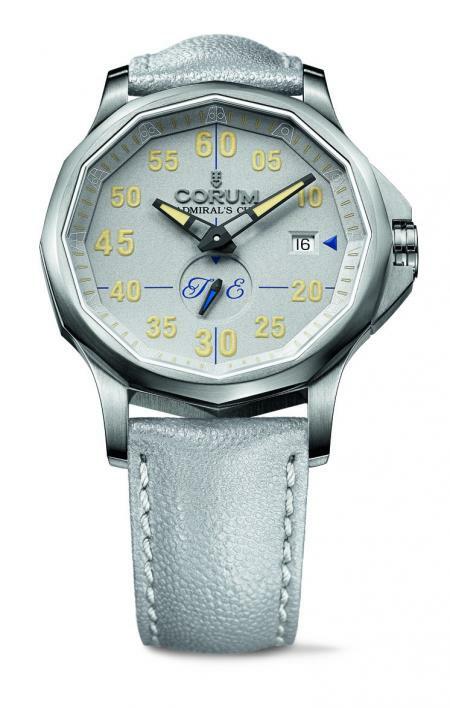 Corum revisits the codes of this iconic timepiece and reinterprets it in metallic shades. Its twelve-sided case from 42 mm, in brushed steel, houses an automatic movement caliber CO 395. The hour markers are shown traditionally by the nautical pennants while the matt dial displays the minute indicators which are treated in Superluminova for better reading. Finally, a small seconds counter with the personalized initials of Thomas Erber positioned at 6 o’clock, hosts an indigo blue luminescent hand – the Colette store’s color. United by the same avant-garde values, Corum is engaging in a partnership which showcases the image of its models. 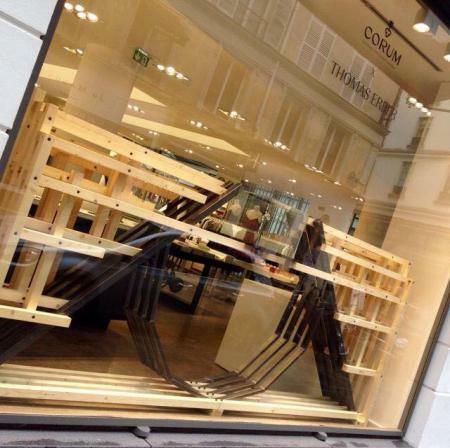 The concept store Colette, born in Paris in March 1997, is trying to reinvent every day the concept of shopping. Meeting point between fashion, fragrance and design, music and publishing, photography, beauty and high technology, one can find all sorts of objects and exhibitions. 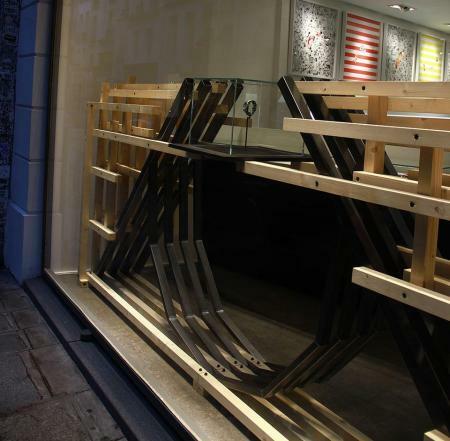 Colette is also a renowned store “to initiate rarity” with limited edition products and exclusive series. Initially a journalist for over 15 years, Thomas Erber is now working on developing his “cabinet de curiositiés”, exported all around the world and in which he presents the new trends and designers of the moment. In a contemporary approach, Thomas Erber explores all areas of creation; from fashion to fine watchmaking, through design, music, but also the travel. Today, he also specializes in consulting and development of the image of many artists.